Danielle and Murphy of Cincinnati adopted this happy boy Tahas Rentz! 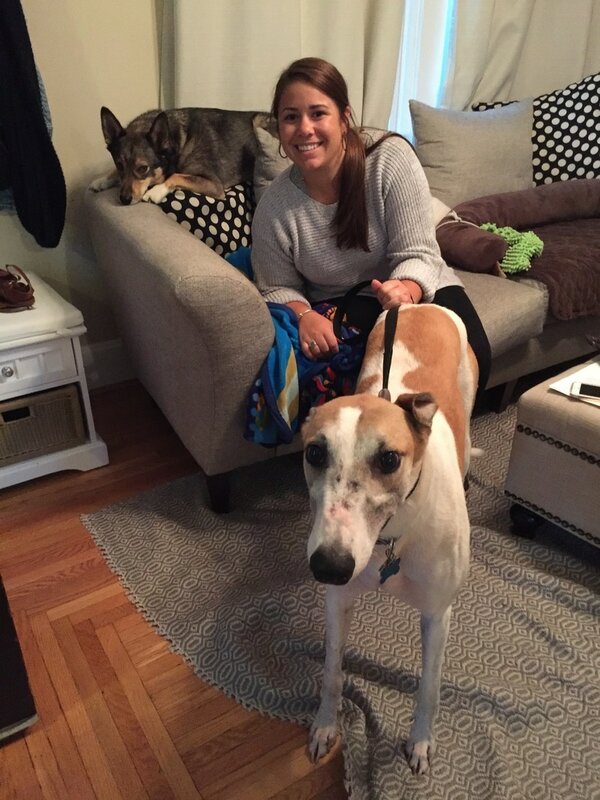 Danielle has been wanting a friend for her rescue Murphy who is one adorable happy pup. Tahas walked in to her home and let Murphy check him out and right away Murphy showed Danielle how excited he was to have a friend finally. After just an hour of being together the two boys have started snuggling up on the couch together. Danielle is going to have two very happy dogs on her hands!